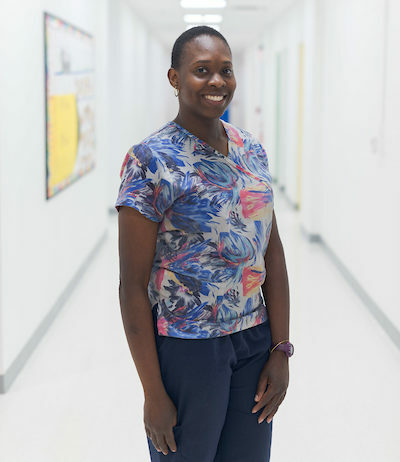 Janet Adekola is the School Nurse at Cresthaven Academy Charter School. 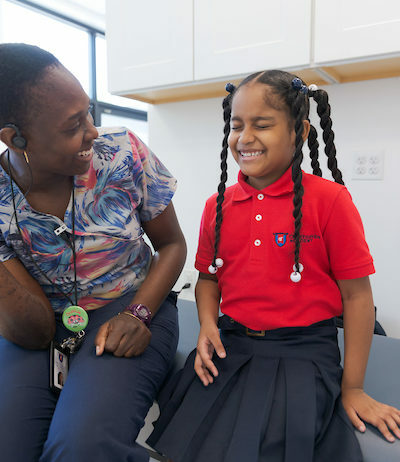 She is a graduate from Rutgers University's Bachelor of Nursing program, and has completed the New Jersey City University’s School Nursing Certification Program. When not working, Janet leads children and youth in her church’s Vessels of Praise Junior Dance Ministry. She also volunteers in other children and youth ministries at her church. Her hobbies are dancing, spending time with family and friends, and listening to music. 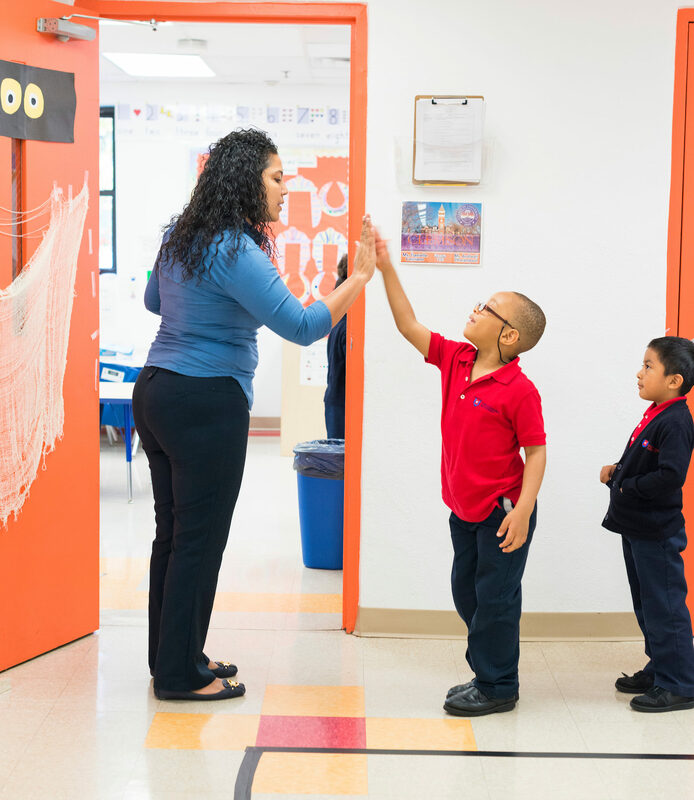 Janet is excited to continue working with the scholars, families, and staff at Cresthaven Academy Charter School! Katelyn Basile is a 2nd grade teacher at Cresthaven Academy. 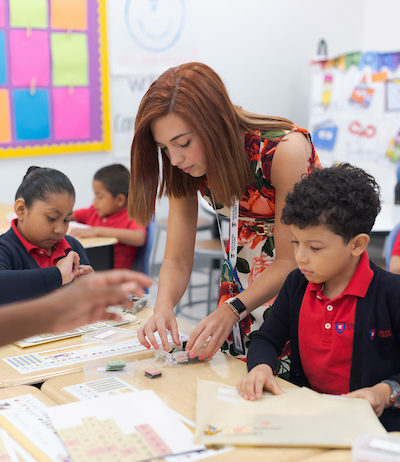 In 2016 Katelyn received her Undergraduate Degree from Monmouth University in Elementary Education and History with an endorsement as a Teacher of Students with Disabilities. 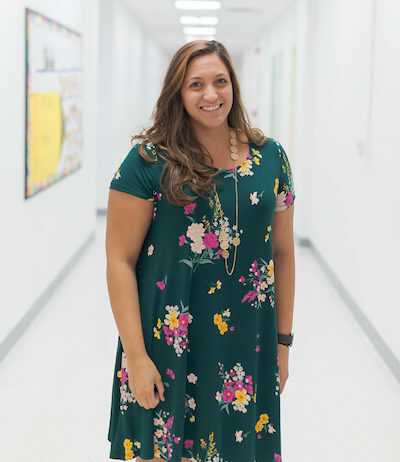 When Katelyn is not teaching she enjoys reading, going to the beach and spending time with family and friends. Daniel Bento is the Physical Education teacher at Cresthaven Academy Charter School. Daniel graduated from Montclair State University with a BS in Health & Physical Education. 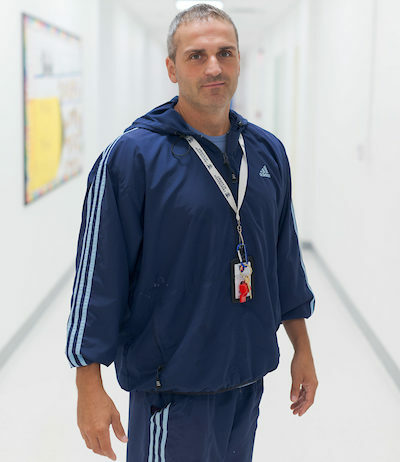 He is passionate about teaching students how to live a healthy and active lifestyle. 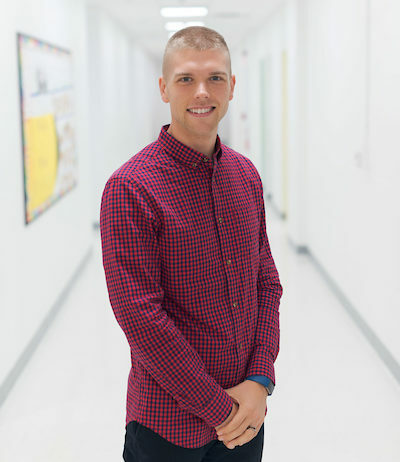 Daniel has eight years of experience working with elementary and middle school students in Newark charter schools. Prior to teaching, Daniel also served in the United States Army as a paratrooper for 5 years. When he is not teaching, Daniel enjoys going to the gym, traveling, and spending time with family and friends. Chelsea Bovery is a 1st grade teacher at Cresthaven Academy Charter School. Previously, she taught both 4th and 1st grades in Newark, NJ. Chelsea graduated from Muhlenberg College in 2013 with a BA in Sociology and currently holds a certification in Elementary Education Grade K-6 . 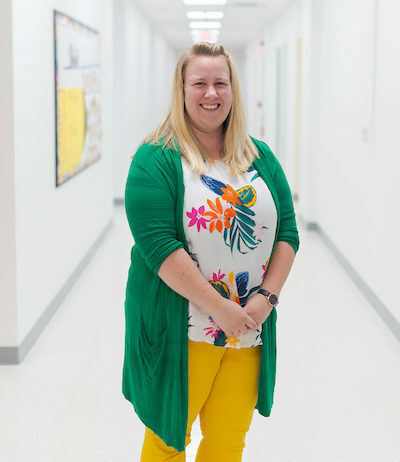 She comes from a family of teachers and has always had a passion for helping others. 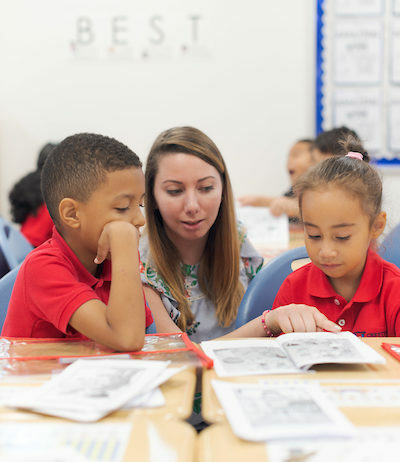 Chelsea is dedicated to supporting each and every child on their path to success. She is eager to continue working with and sharing her love of learning with the scholars and families in Plainfield. In her spare time, Chelsea enjoys cooking, traveling, and spending time with her friends and family. 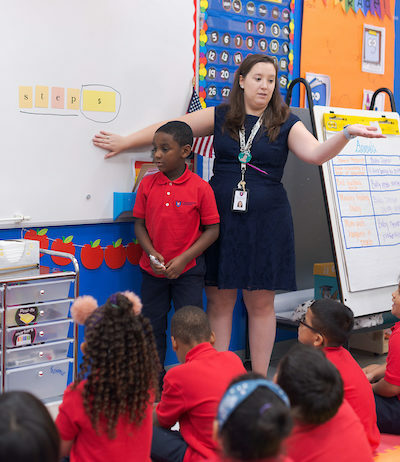 Samantha Brida is a 1st grade teacher at Cresthaven Academy Charter School. She has three years of experience working rural and urban areas in North Carolina and New Jersey. Samantha completed her undergraduate work at Lebanon Valley College in Annville, PA where she earned a BA in Early Childhood Education and also in Special Education. With great enthusiasm, she is looking forward to sharing her knowledge and dedication to help serve the scholars and families of Plainfield. When she is not teaching, Samantha enjoys reading, cooking and spending time with family and friends. Kaye Campanile is a 2nd grade teacher at Cresthaven Academy Charter School. 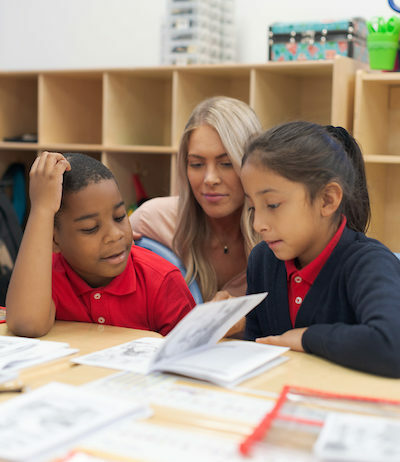 She has six years of experience working in rural and urban areas in Pennsylvania and New Jersey teaching everything from Pre-K to 3rd grade. Kaye completed her undergraduate work at Shippensburg University in Shippensburg, PA where she earned a B.S. in Elementary Education with a minor in Early Childhood Education. 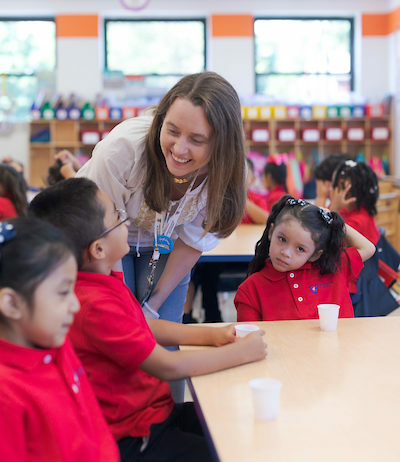 Right after she graduated, Kaye joined Teach for America and spent a summer teaching in both Kentucky and Mississippi; she fell in love with the kids but not the heat! With so much excitement she is ready to start on her educational journey at Cresthaven and work with the families and scholars in Plainfield. When she is not teaching, Kaye enjoys baking, kickboxing, and spending time with her husband and cats. 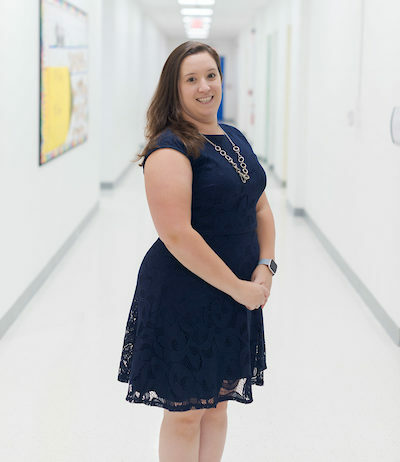 Danielle Casciano is a founding 2nd grade teacher at Cresthaven Academy Charter School. She has four years of experience in charter schools working with at-risk students and students with disabilities. During these years, she has worked on developing and executing rigorous data driven lesson plans. 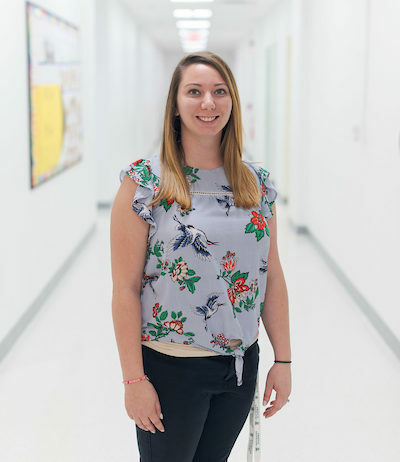 Danielle completed her undergraduate work at Rowan University where she earned endorsements in Early Childhood Education and as a Teacher of Students with Disabilities. Danielle is honored to use her knowledge, passion, and dedication to help serve the children of Plainfield. 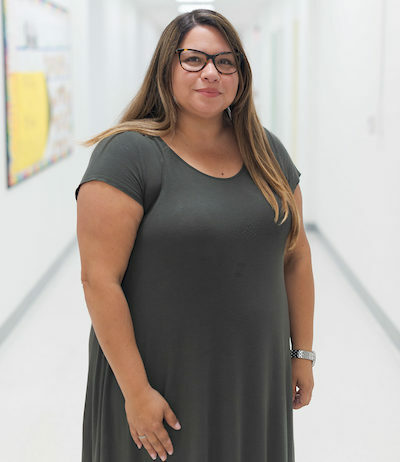 Diana Churchill is the ESL Coordinator at Cresthaven Academy. Diana has over 8 years of experience teaching English Language Learners. 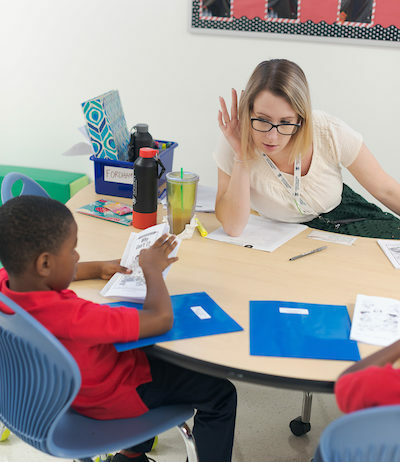 She started her teaching career as an English as a Second Language Instructor for elementary-aged children in the Camden City Public Schools. Following that, she worked as an adult ESL Skills Specialist in West New York. 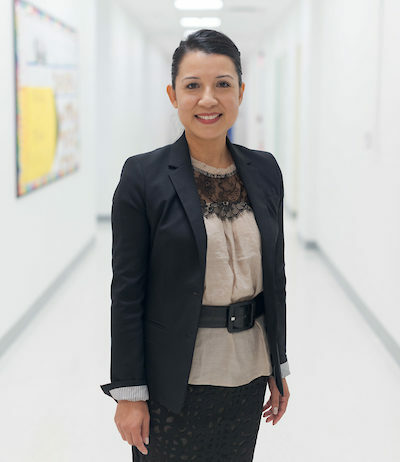 Always passionate for working with children, she moved on to teach K-8th grade ESL in the Springfield Public Schools. Diana received her BA degree in General Arts and Sciences, with a Business Minor, from Penn State University. She earned her MA degree in Teaching English to Speakers of Other Languages from New York University. She later acquired a supervisory certificate from Kean University. Diana volunteers as a Girl Scout troop leader and is on the Board of the Friends of the Watchung Library. Diana is thrilled to share her experience and skills with the Cresthaven Academy community. 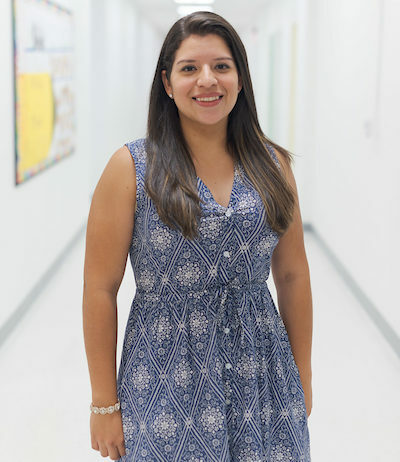 Ana Maria Diaz is a founding 1st grade teacher at Cresthaven Academy. 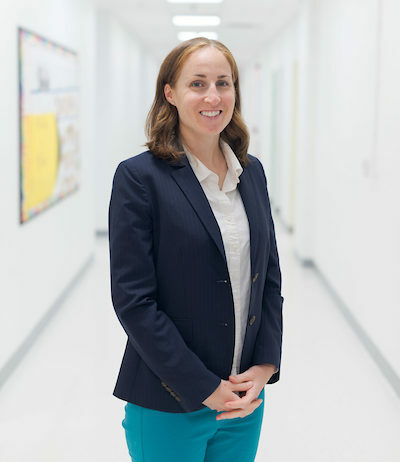 She holds a Bachelor’s degree in Early Childhood Education from Kean University. 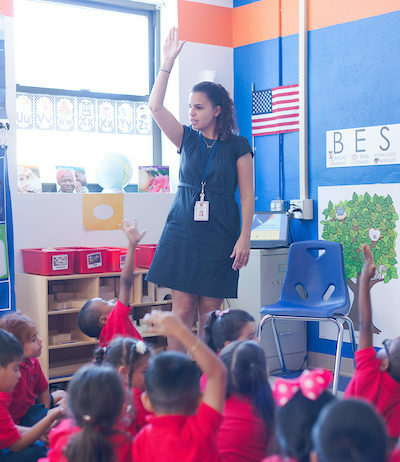 Previously, Ana Maria served as a third grade teacher in Newark, NJ with Uncommon Schools. 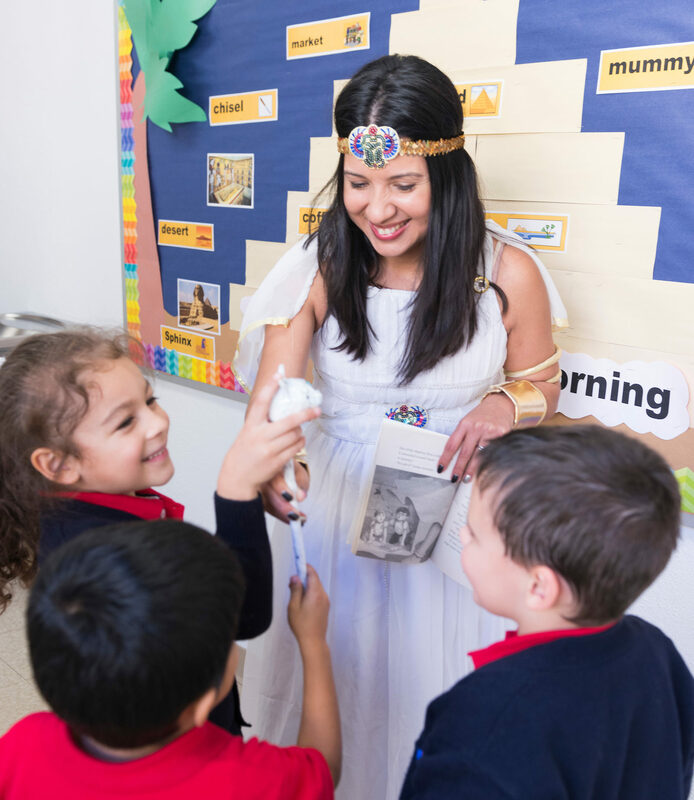 During her time as an educator in Newark, Ana Maria taught a variety of subjects to a wide array of learners. She was born into a family of educators who instilled in her the love of learning. 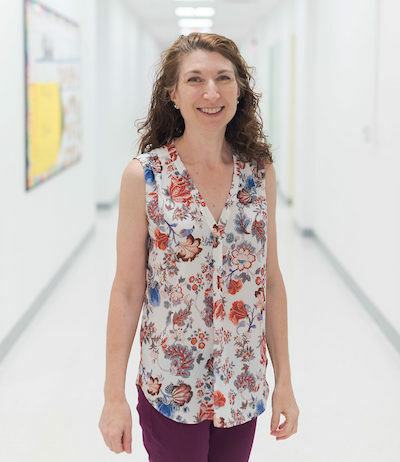 Her dream is to continue to share her passion for learning, and her enthusiasm and dedication as an educator to the scholars and families of Plainfield. In her spare time, she enjoys baking, reading, and spending time with family and friends. Michelle Ehrenkranz is a kindergarten teacher at Cresthaven Academy. 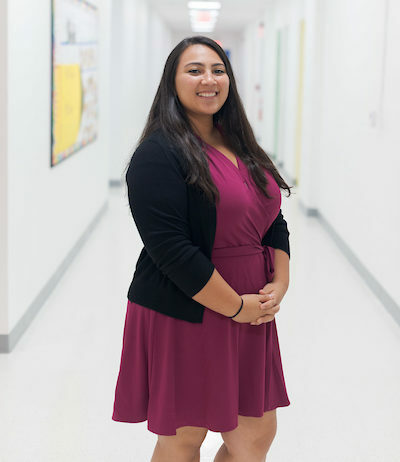 She is a recent graduate of William Paterson University and holds a Bachelor’s degree in both Early Childhood Education and Integrated Math and Science with a concentration in Environmental Science. Michelle is a proud sister of Delta Phi Epsilon International Sorority and most recently worked with children ages 6 weeks to 5 years at a childcare center. In her spare time, Michelle enjoys cooking, baking, yoga, and spending time with family and friends. Ever since she was young, Michelle knew she wanted to become an educator. When she was in elementary school, she struggled academically. But through the support of family and teachers, she was able to succeed academically and build confidence in herself. Michelle is honored to bring that same support to the scholars of Cresthaven Academy. Megan Gerity is a kindergarten teacher at Cresthaven Academy. She received her B.S. and M.A.T. 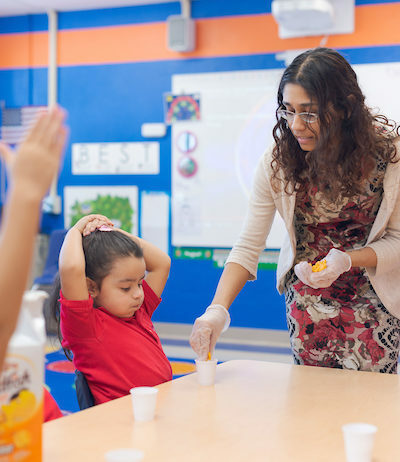 in Urban Early Childhood Education/ESL from The College of New Jersey. 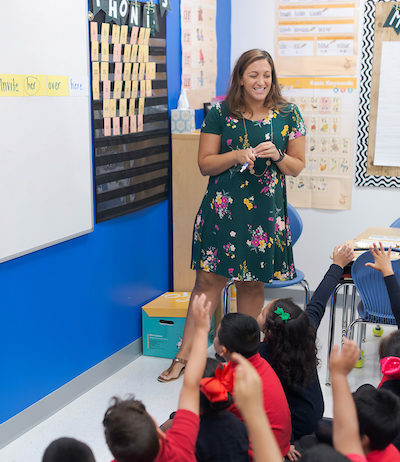 Megan has previously taught first grade and pre-kindergarten in Newark for the past five years, where she also served as a grade level lead and instructional coach. 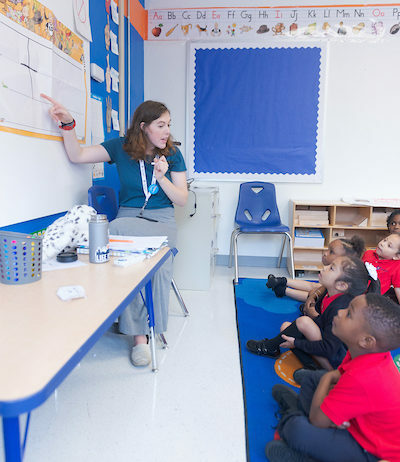 Megan served as a teacher trainer at the National Institute for Early Education Research, working alongside K-3 teachers across the sate on utilizing developmentally appropriate practices in their classrooms. Aside from teaching, she enjoys traveling, cooking, reading, and spending time with family and friends. Megan is eager to create an exciting and positive school experience for the scholars and families of Plainfield! Jazmin Gooding is a founding 2nd grade teacher at Cresthaven Academy. 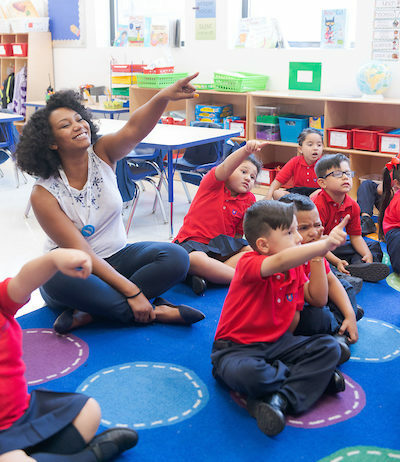 Her journey as an educator began 5 years ago as a Teach for America New Jersey Corps member, where she developed a passion for working in urban education. 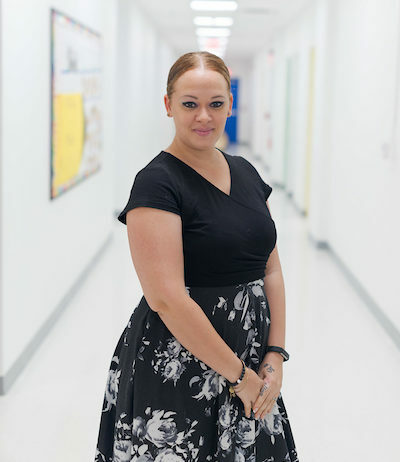 Jazmin has served as a direct instructional coach and lead teacher in grades K-1 with Uncommon Schools in Newark,NJ. She received her B.A in Psychology from the University of Richmond in Richmond, VA and her M.A.T from Relay Graduate School of Education. 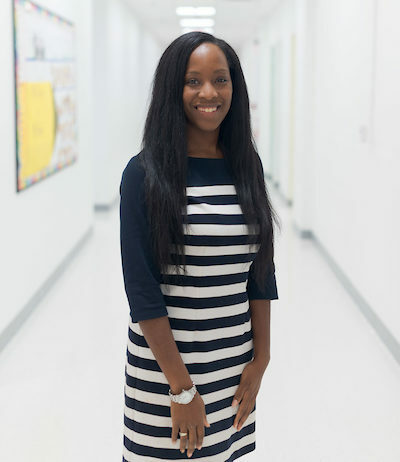 At Cresthaven she most recently served as the founding Kindergarten Grade Team Lead for 2 years. Outside of the classroom, Jazmin is an All Star Cheerleading Coach with Fabuloucity AllStars Gym. She is also a proud member of Alpha Kappa Alpha Sorority, Inc. Jazmin is excited to expand her impact while working in 2nd grade and looks forward to bringing her love, commitment, and dedication to the scholars and families of Plainfield. Victoria Hayes is a 1st grade teacher at Cresthaven Academy Charter School. In 2015, she graduated from Kean University with a Bachelor’s Degree in Elementary Education and Teacher of Students with Disabilities. 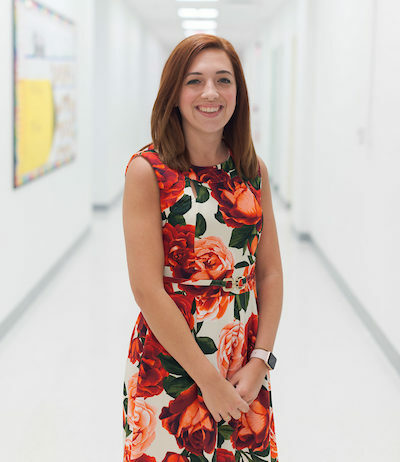 She has three years of experience in teaching elementary education and previously taught 3rd and 5th grade. Victoria loves working with children and is very excited to be working at Cresthaven Academy. In her spare time, she enjoys going to the beach, and spending time with her family and friends. 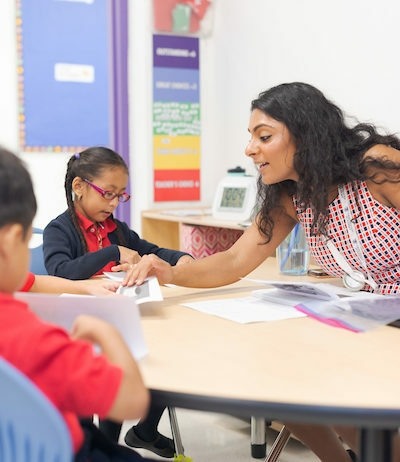 Pooja Hiremath is a kindergarten teacher at Cresthaven Academy. Ms. Hiremath graduated from Rutgers University with a Bachelors in Psychology and Certificate in Creative Writing. She is currently completing her certification in Elementary K-6. Ms. Hiremath is eager to ignite curiosity and passion for learning in young inquisitive minds and to balance the usage of textbooks with the promotion of fun in applying lessons. 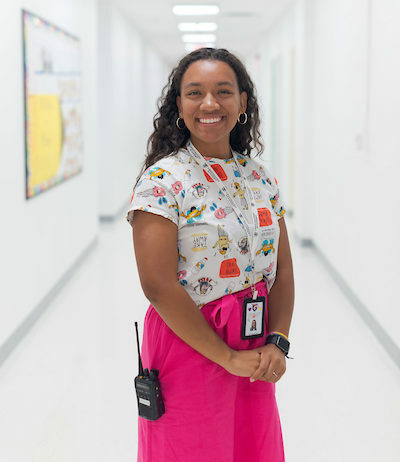 Her ultimate goal is to help children be confident inside and outside of the classroom. 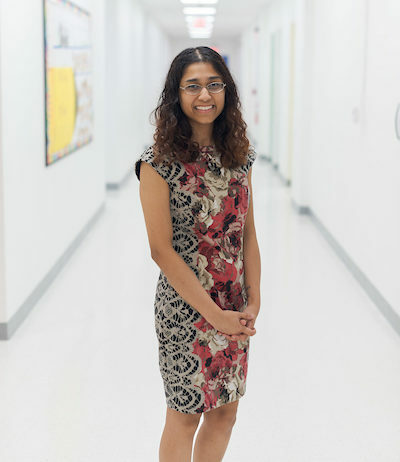 In her spare time, Ms. Hiremath enjoys writing, spending time with family, and loves to cuddle with her cat Indigo. 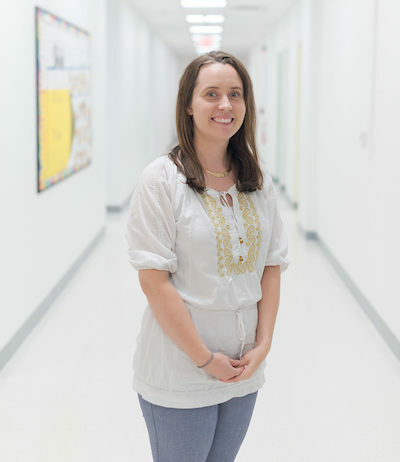 Alexandra Hopkinson is a 1st grade teacher at Cresthaven Academy. She is from Reading, Massachusetts recently graduated from Salem State University with a BS in Elementary Education. She previously worked as a 4th grade teacher in Massachusetts. Alexandra was a college volleyball player and spent the past four years coaching high school volleyball the past eight years coaching elementary-aged children in volleyball and tennis summer camps. 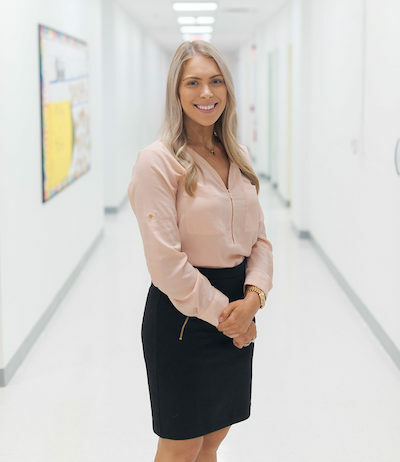 Alexandra has always loved working with children and is looking forward to working with Cresthaven scholars and helping them achieve their goals. Patrice Hunt is a kindergarten teacher at Cresthaven Academy. She has previously taught kindergarten in Newark for the past two years. She graduated from Montclair State University with a BA in English with a teaching certificate in K-6. Patrice is excited to start her journey at Cresthaven Academy and shaping the young minds of Plainfield. In her spare time, she enjoys working out, reading, and spending time with her family and friends. Courtney Lawreck is a 2nd grade teacher at Cresthaven Academy Charter School. In 2016, Courtney received her undergraduate degree in Elementary Education from Kean University. After graduation, Courtney served as a fourth grade teacher in a charter school in Newark, New Jersey. In her spare time, Courtney enjoys crafting, painting, and taking her dog on walks. Courtney is honored to use her knowledge, passion, and dedication to help serve the scholars and families in Plainfield. Farhanah Mohamad is a Special Education Teacher at Cresthaven Academy. Farhanah graduated from Seton Hall University and majored in Social Behavioral Sciences with an intense emphasis in Elementary and Special Education. 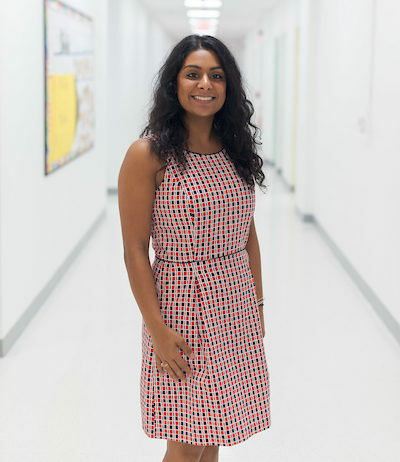 Previously, Farhanah served two years as a resource room teacher in Newark Uncommon Schools. 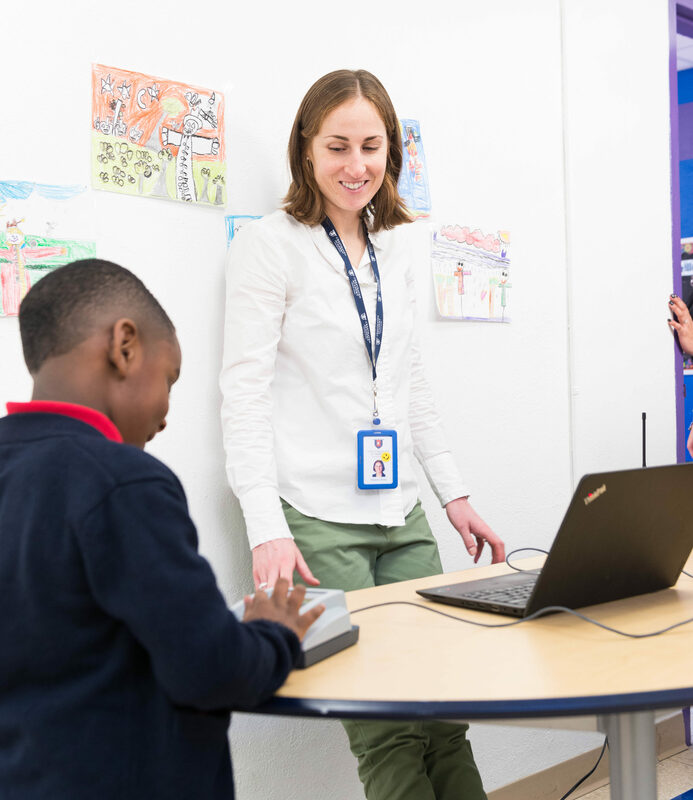 She taught a variety of students and worked closely with the Child Study Team to improve each student's learning experience. Farhanah is also an advocate for children and people with disabilities and continues to raise awareness in every way she can. When Farhanah is not teaching, she is spending time with family and friends, walking her Siberian Husky, Luca, or traveling the world. 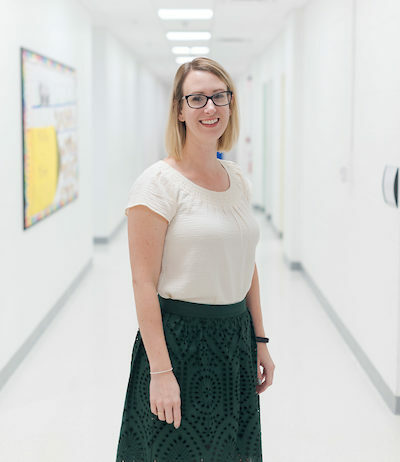 Lucy Parker is an elementary teacher at Cresthaven Academy. She is passionate about empowering all students and celebrating every success. Lucy is a recent graduate of Gordon College in Massachusetts with a degree in Education and English. Her certifications include Elementary Education Grades 1 to 6 and Special Education Grades Pre-K to 8. Lucy is eager to begin her teaching career working with the scholars and staff at Cresthaven Academy. When Lucy is not teaching, she enjoys spending time with her family and friends, as well as running, reading, and cooking. 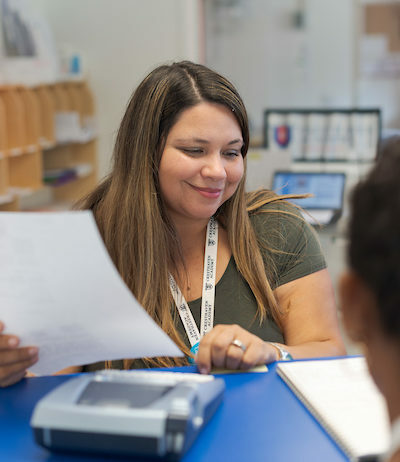 Wanda Rodriguez is the Office Manager for Cresthaven Academy Charter School. She has over 17 years of experience in corporate and office administration, holding positions such as Loan Closer and Operations & Contract Coordinator. Additionally, Wanda has worked in youth ministry for over 20 years and, alongside her husband, David Rodriguez, pastors a local church in Plainfield. Wanda is also a mother to Silas, and counts being a stay-at-home-mom during his first few years of life as one of her greatest accomplishments. The Rodriguez family has lived in Plainfield for over 8 years, and Wanda is privileged to serve the community she calls home. She looks forward to knowing our children personally and serving the school’s administrators, educators and parents for decades to come. 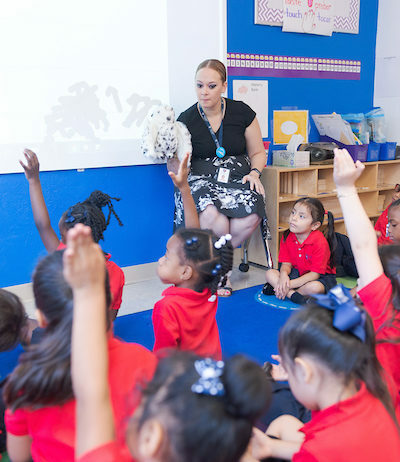 Jessica Saunders is a kindergarten teacher at Cresthaven Academy Charter School. 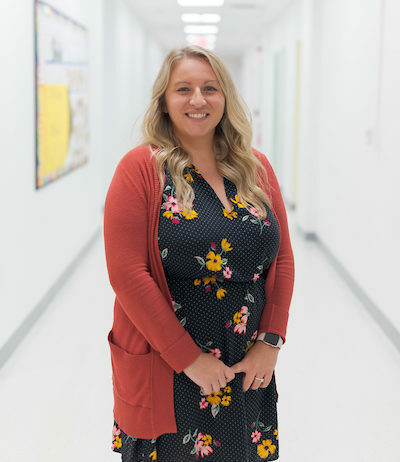 Previously, Jessica has taught Pre-K for one of North Plainfield Public School District’s contracted agency schools and has also taught in Westfield. Jessica holds a BA in Early Childhood Education and a MA in Special Education from Kean University. She enjoys reading, spending time with family and friends, and scrapbooking. Jessica is honored to be an inspiration to each scholar at Cresthaven Academy Charter School. 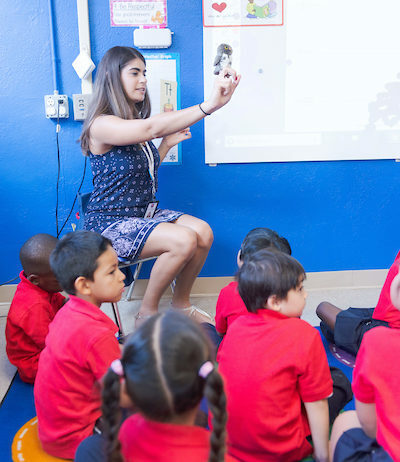 Bianca Sehgal is a founding 1st grade teacher at Cresthaven Academy Charter School. She graduated from Seton Hall University with a B.S. in Education and a B.A. in Environmental Studies. Bianca has worked with students of all abilities and has a passion for Special Education. Aside from teaching, Bianca enjoys the company of her large extended family, cooking, and outdoor activities. She also enjoys traveling and collecting books from around the world. 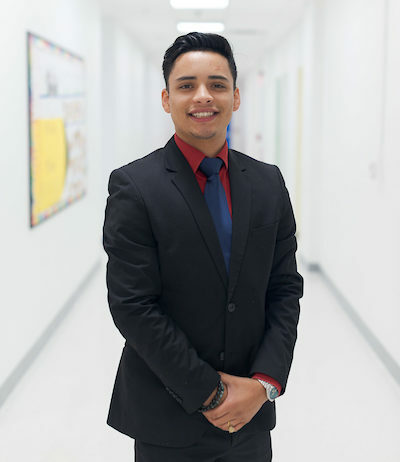 Enrique Silva serves as Campus Aide at Cresthaven Academy Charter School. He was born in Newark, New Jersey and graduated Barringer High School. 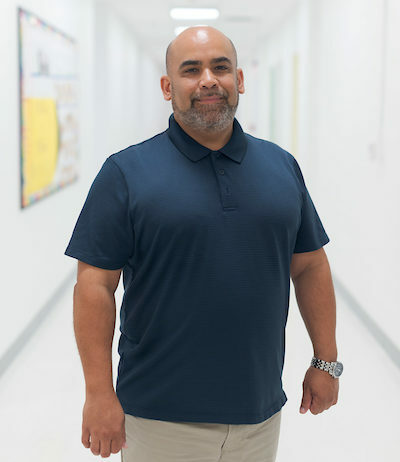 After a tour as a Marine during Desert Storm/Shield and, through a combination of life events, Enrique joined Newark Public Schools as a security officer. He later worked at People's Preparatory Charter School in Newark overseeing the food service program and facility maintenance. Enrique also attended Bloomfield College where he studied Education, and plans to one day complete his undergraduate degree in Physical Education. 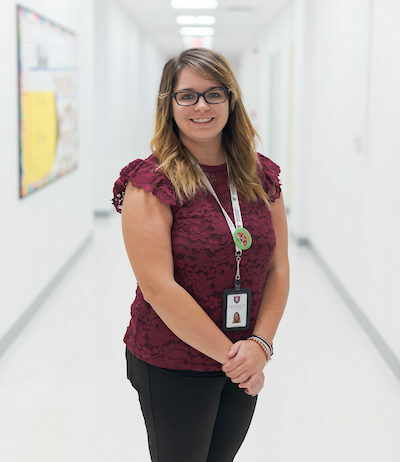 Alexandra Stinsman is a 1st grade teacher at Cresthaven Academy. She earned her B.A. in Psychology from The College of New Jersey and her M.S.Ed. in Elementary Education from the University of Pennsylvania. 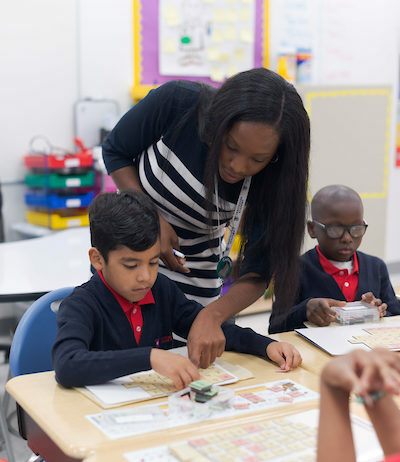 She has eight years of experience teaching in urban areas, including as a kindergarten teacher in Philadelphia and as a 1st grade teacher in Massachusetts. Alexandra is excited to continue her career at Cresthaven Academy and to help all scholars succeed. In her free time, Alli loves traveling, baking, and running. Andreali Dharampaul-Bajnath is the Dean of Enrichment & Programming for the Cresthaven Academy Foundation. Her journey as an educator began 10 years ago in Brooklyn, New York where she was born and raised. 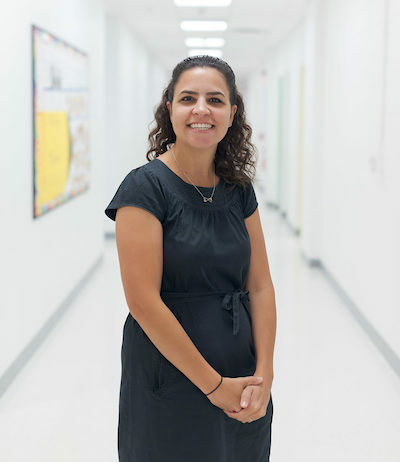 Andreali started as a Universal Pre-K teacher for four years. She then branched off into a charter school where she taught 1st grade for another four years. 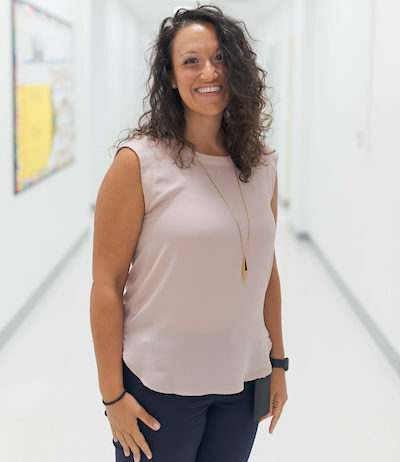 Andreali was a founding Kindergarten and 1st Grade teacher for Cresthaven Academy Charter School and will now transition into her new role as the Dean of Enrichment & Programming for Cresthaven Academy Foundation. 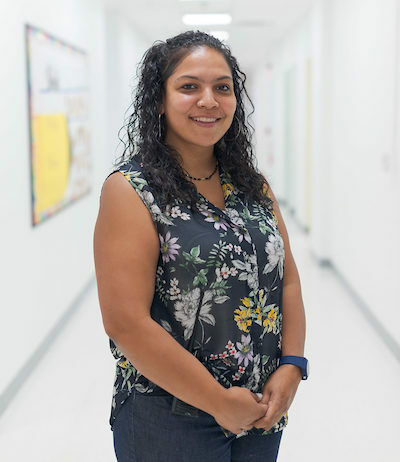 She will continue to build relationships with our scholars and families and is eager to be part of a team that continues to provide an After School Enrichment Program where scholars can show grit, courage, and self-control. Savannah Nesmith joined the Cresthaven family as a founding member in 2016. With ten years experience in the private business sector as an Account Manager and Product Development / Design Director, she combined her project management expertise with her lifelong passion for youth, children, and social justice to develop and launch the Cresthaven Academy Foundation After-School Enrichment Program. Serving as the Dean of Enrichment & Programming was the fulfillment of a dream for Savannah that was first born in 2002 while pursuing her undergraduate education in Sociology and Race & Social Justice at the University of Michigan. Entrenched in the belief that every child deserves unrestricted access to quality education and the resources to support it, Savannah is excited to leverage her experience and utilize her skill sets to step into the role of Director of Special Projects for Cresthaven Academy. Magdiel Solis is the Managing Director of Cresthaven Academy Foundation. Magdiel grew up in New Brunswick, New Jersey after arriving from Mexico at a young age. As he grew older, Magdiel’s desire for helping others also increased. 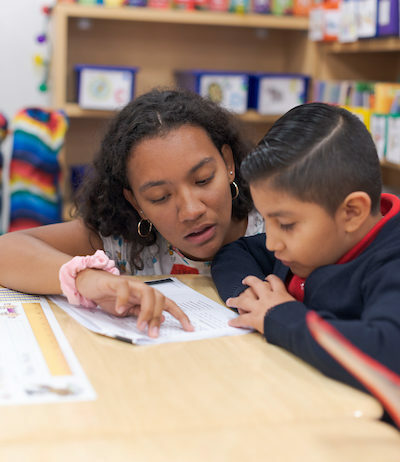 From volunteering at hospitals where he would play guitar for pediatrics patients, to mentoring and tutoring children from grades 7th- 12th through a program called Rutgers Future Scholars, Magdiel was able to gain experience interacting with children from different ages and backgrounds. Prior to working at Cresthaven Academy, he co-founded and served as Managing Director of STEAM Works Studio, a STEM program that teaches robotics to children from kindergarten through 10th grade. Magdiel also spent 2 years organizing and directing youth summer camps for the Edison Board of Education. He recently received his bachelor’s degree from Rutgers University in Spanish, and his favorite hobbies include playing guitar and bowling. 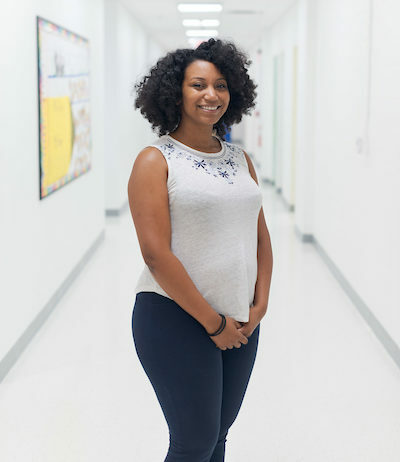 Before joining Cresthaven Academy, Shianna worked and volunteered with two schools, where she led small groups for their after-school programs, and was a head leader for Metuchen Christian Academy's summer camp. Shianna has nine years of experience working with children, ages two years old to 12th grade, as Assistant Teacher at a preschool enrichment program, Sunday School instructor, and youth group leader. 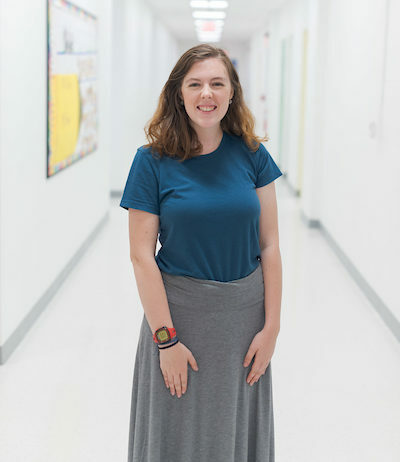 She is currently studying Education at Middlesex County College and plans to further her education in Early Childhood Education at Liberty University. Aside from working, studying and spending time with her family, Shianna enjoys traveling on mission’s trips around the world, baking, and shopping.